HomeBuildingTheSalesMachine.comNeed to hire salespeople fast? Here’s how to make sure you get it right. The following is a guest post from Amy Volas. Amy is the founder of Avenue Talent Partners. through a highly customized process. But after 20 years working in sales and startups in addition to starting/leading my own company, I know it’s not that simple. Sometimes your market is just incredibly ripe or you’ve got extra pressure from your board and you don’t really have a choice but to hire quickly. Sadly, the reason why this advice gets passed around is because a lot of startups screw this up when their feet are in the fire… and it ends up hurting them BIG in the long run (in fact, sometimes it tanks their efforts all together). In my experience, the main reason why hiring too quickly ends up in disaster for startups is because they sacrifice on quality in the name of speed. But I’ve said this before and I’ll say it again: you can’t just fill your sales team with warm bodies and expect to kill it. To do so tends to be much more costly than it is beneficial. Good news though… it doesn’t have to be this way. I’ve seen startups get this right too. So how do you hire A+ sales talent quickly without compromising? Here are 4 things I’ve learned in the last 20 years that will help you the right people NOW. 1. Have a “why” your target hires can get behind. Have you ever wondered why some companies seem to always be the place where everyone wants to work? More often than not it’s rooted in one thing they do better than everyone else: they have a compelling “why” that their employees (and customers) can get behind and work their tail feather off to support. A compelling “why” is critical to effective leadership because it connects their team with something that directs the actions of every human being: purpose. Google’s “why” is making the world’s information easily accessible to everyone. Apple’s “why” is challenging the status quo and thinking differently about technology. Spotify’s “why” is making it easy to find the right song for any moment – a “soundtrack for your life”. My guess is you’ve worked on your “why” for your buyers already on some level (if you haven’t, GO DO IT). But if you want to really pull in the cream of the sales crop to help you grow quickly, you need to market your “why” internally and evangelize it externally as well. As someone who has been a leader in every sales role I’ve ever had, take it from me: the best salespeople want to believe in what they are selling. And even more so, they want to believe in the business they are building by selling your product/service. So if you need to bring on the right salespeople NOW, show them how you’re making a difference why they should drop everything to get on board and be part of your mission. This is probably the single most important piece of hiring the best people quickly (and let’s be honest, not just for salespeople either). 2. Clean up your online footprint. Since 69% of candidates would not work for a company with a poor online reputation and 84% would also leave their current company for one with a good reputation these days, it’s critical that your startup looks good online if you want to build your team with A+ talent. Take the time to review what people are saying in places like G2crowd, Glassdoor, Facebook, Yelp, Indeed, and others to learn where you have room to improve. After all, a compelling “why” is only compelling if it is backed by social proof. Clean up your blog. Keep the content that your customers and your industry cares about and remove the things that they don’t. Clean up your social media and your career website. Infuse it with your “why” and make sure everything is on brand. Create new content that inspires and get it published in mainstream media. Reach a wider audience get your “why” out in the world. Engage. Create two-way communication and a “sticky” site where people can get questions answered, have a “voice” and have a chance to see what’s under the hood. Respond. Regardless of negative or positive, respond to your audience. If you’re not quite sure how to tackle these things above or don’t have the resources, ask for help. There are a wealth of knowledge/solutions in the market specializing in online reputation management. Whatever you do, you need to make your online reputation a priority. If it’s not good, you can turn people off before you ever have a chance to have a conversation. 3. Make sure your candidate experience is on point. I’ve said this before and I’ll say it again (and again, and again): there is no place in today’s world for a craptastic candidate experience if you want to grow your startup. The people that will help you scale want to be respected, period (no, they demand it, just like you would). And the way you treat them while they are interviewing absolutely impacts their decision to join you. So even if it’s not your ideal hire, treat them well – they have strong voices and like to use them. You never know they could be your next potential customer or sitting on the other side of the table interviewing you. Respectful of their time. Truly talented people are rarely unemployed and it takes time out of their schedule to interview – usually vacation time. Highly transparent and communicative. Nobody wants to try to read the tea leaves. So don’t jerk people around, and don’t keep them in the dark. Tell them what to expect and what’s happening when. Personable and memorable. It’s amazing how little things being greeted at the door when you arrive and offered something as simple as a glass of water can go a long way to making a great impression. It doesn’t end with the offer. Time and time again employers tend to go dark after the offer is accepted thinking it’s a done deal. It isn’t and you are still at risk (especially in a competitive market like NYC) of losing them. Keep them warm, engaged, updated, and 100% understanding of what day 1, week 1, etc will look like. If you’ve got a couple of weeks before they start, meet them for coffee, have the team reach out, and start sending them details to prep. For more information on what your candidate experience should look like if you want to grow your startup, I break it down in the link above step by step with the things that you need to consider and embrace during each phase of the interview process. But the main thing to remember is you are selling them on the idea of working with you just as much as they are for you – it’s a two-way street. If you let that guide your interview process, you’ll nail it every time. 4. Know who you need to hire and why. I see it more times than I care to admit, but there are many startups that just don’t know who they need to hire. And it ends up wasting a lot of time and money to get the right people instead of helping them capitalize on great opportunities. In my experience, this is usually due to a lack of understanding regarding how a sales organization is setup and where they are in their hiring process. Just like you need to define your buyer profile, the same rules apply to your candidate profile. For example, if you’re an early stage startup and a first-time founder, the chances are slim that you have a dedicated person finding and qualifying leads or have a well defined go-to market strategy. Let’s not kid ourselves, it’s highly likely that your salespeople will have to do that themselves. So while it might be tempting to bring in a heavy hitter from the corporate world because of their “experience”, that could be a bad decision. That person is probably used to having an expansive support system internally (being fed leads, a well-defined process with brand recognition to make it easy to go-to market, etc.). But when it comes to your startup, your hires would need to build that first… which is not a task to be taken lightly. And unless they have specific experience doing just that, it’s probably not going to end well for all parties involved. More often than not, that person will just leave the company and you’ll have to start over finding someone new. Simply put, not all sales people or startups are created equal. Even top performers from the most impressive startups have different experiences and abilities, and sometimes the person with “less experience” could actually be the better fit for you. You need to know precisely which skills you really have to have and which ones you don’t – and most importantly, why. 3 things to consider before you make your first sales hire. My article on the things you need to think about before you hire sales people. The title says first time, but these things apply no matter where you are in hiring process. My scorecard template for making strong hires. Systems and processes are the secret of high performers and their success. I highly recommend that you use a system and a process like a scorecard to make your hires. This article lays out how to build one for your sales hires. If you’ve created a compelling reason for remarkable salespeople to work with you via your mission, reputation, and candidate experience, and you know who you need to hire and why, you won’t waste time getting the wrong people or trying to find someone who can help you. You’ll just nail it the first time and get on with growing your business like crazy. What questions do you have about hiring quickly (and getting it right)? Put it in the comments below and I’ll help you answer them. Found this helpful? Spread the word! 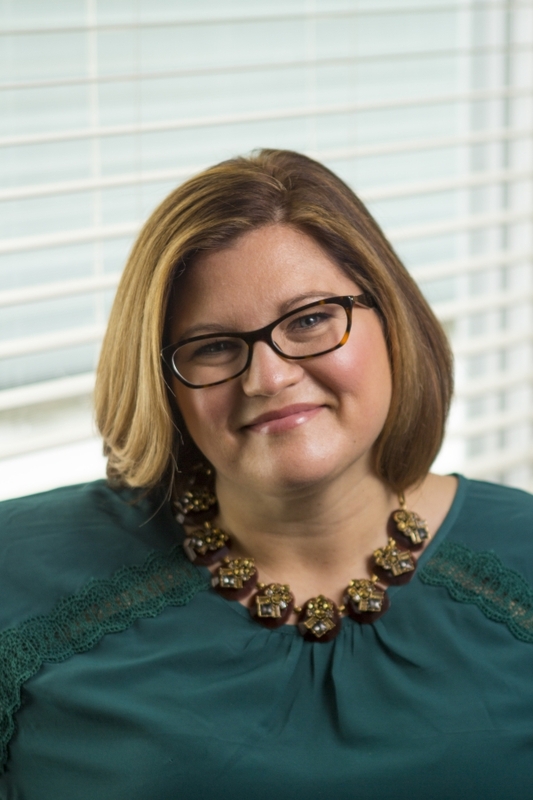 Amy Volas is the Founder and Chieftain at Avenue Talent Parners. She’s a sales fanatic turned entrepreneur, bitten by the startup bug many moons ago and couldn’t imagine spending my time anywhere else. Amy created Avenue Talent Partners to help with the tremendous task of growing startups through one of their most valuable assets—salespeople. Amy can be reached on Linkedin or on twitter @AvenueTP.